The Inspiration of this was the movie "Indiana Jones and the kingdom of the crystal skull"
Na das ist ja toll gelungen. 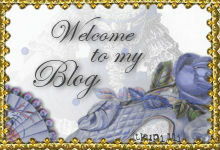 Dear Petra, Thank you for following my blog. I am really curious about yours :). I will be back often to read more! Have a great weekend!